The Professional End of Tenancy Cleaning is the only service which can guarantee you that you will be able to recover your full deposit from your landlord. We can provide a deep and thorough clean of your property at the end of your lease, and promise exceptional results and full customer satisfaction. As a bonus to the service we provide all the detergents and equipment for free. The cleaning materials are professional and safe. They are ranked among the top brands on the market. Every property is fully and deeply cleaned, including the hallways, corridors and staircases. – mopping or hoovering all floors. – cleaning all kitchen appliances internally and externally. – cleaning all mirrors and washing walls. – cleaning windows from the inside and if reachable from the outside as well. – cleaning all cupboards, skirting boards, shelves and wardrobes. – clean doors and door sills. – dust and wipe the light fittings. With our Professional End of Tenancy Cleaning Service you also receive a 48 hour call back guarantee. All prices are tax inclusive and fixed. All of our cleaners are well trained and experienced. They are extremely professional and competent, with high attention to details. They have vast experience in the cleaning services field, deep knowledge of the latest cleaning standards, and the requirements of the landlords and all letting agencies. 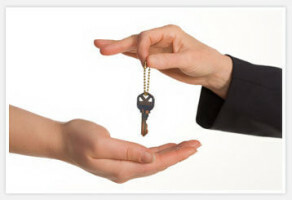 You will experience a peaceful moving out with no hassle and no worries! No Extra Charges on Weekends and Bank Holidays. NO Charges for Cleaning Materials and Equipment. Fixed Fees. NO hidden charges. Highly Experienced and Trained Cleaning Teams. Our Cleaning is Not Limited in Time.